A connection between doctor and patient is indispensable. The partnership lasts a lifetime in the best case scenario. But, not all doctors are the same. Nor are the patient and physician relationships. 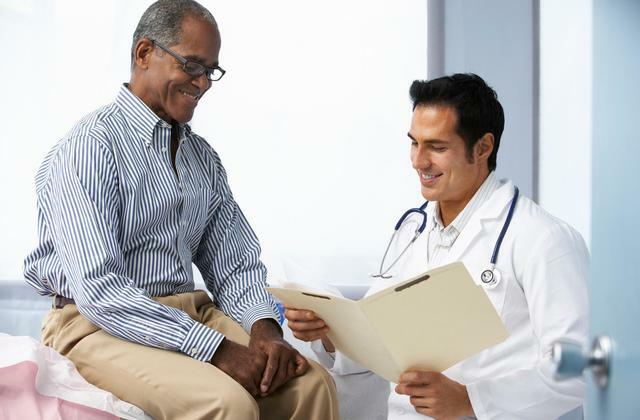 The older a person gets, the more they wish to fall into a comfortable relationship with their doctor. Age has a way of sneaking up on everyone, and issues arise that requires trust with a physician to share. Lifestyles change over time. Humans tend to evolve every decade, and their medical needs change with them. Comfort and communication do not necessarily go hand-in-hand. Advocating for themselves, patients of any age or their caretakers should be on top of health issues, even those that seem small. The ability to relay worries to a doctor without pause is indispensable and avoids misunderstandings and malpractice. The National Institute on Aging, a branch of National Institutes of Health, gives advice for advocating for oneself, and they highlight what to look for in a new doctor. Knowing what feels “right” or “wrong” goes beyond ratings or word of mouth. Not everyone has the tools to self-advocate. Before someone goes to the doctor, new or not, a list of health concerns is a helpful way to keep up with what the doctor needs to know. Keeping a hard copy keeps both patient and physician up to date, regardless of the time between visits or changes in physicians. Taking a family member or friend is a second layer of protection, but not everyone is comfortable with others knowing about their mental and physical health. What symptoms are of concern? When did any medical worry begin? What makes symptoms better or worse? Is there a change in routine, or lifestyle? Honesty is hard when talking about symptoms. Delicate subjects and symptoms are not something most people feel comfortable sharing. Medications are challenging to list when prescribed for personal issues, such as erectile dysfunction or bladder problems. But, if the patient is new to the doctor, it is a requirement to share all medications, even self-medication. Many people do not prioritize their concerns and go quiet when the doctor enters the room. What is important to someone is not necessarily what a doctor will focus in on during an office visit. Do not allow the physician to prioritize. Self-advocacy requires the patient to have a voice, and have one that is powerful and not silent. Self-advocacy with any doctor or specialist protects the patient and physician. Malpractice is more common than people want to believe. The average payout for doctor malpractice $425,000 if settled and a million if taken to a jury. The even flow of communication not only frees a patient of concern, but it also ensures if malpractice occurs, the physician cannot claim they were not aware of health issues or medication interactions.